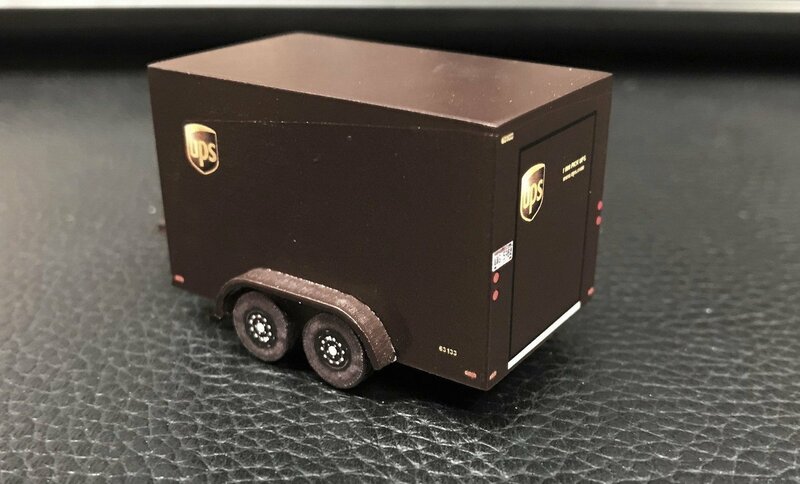 UPS Enclosed Trailer KIT 7x12 HO Scale with UPS graphic decal set 7' x 12' Dual/Tandem Axle. This is for the trailer kit only, not a completed model. Truck not included.